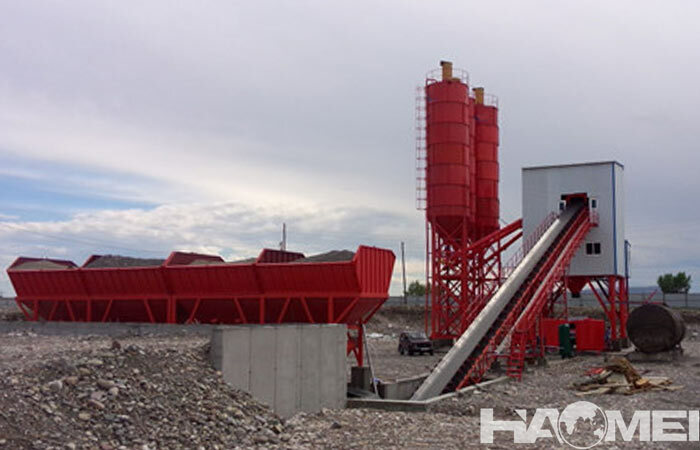 Modular concrete plant for sale is generally built next to the construction site, mainly used in a certain project, the configuration is relatively simple to meet the concrete required for the production of this project. 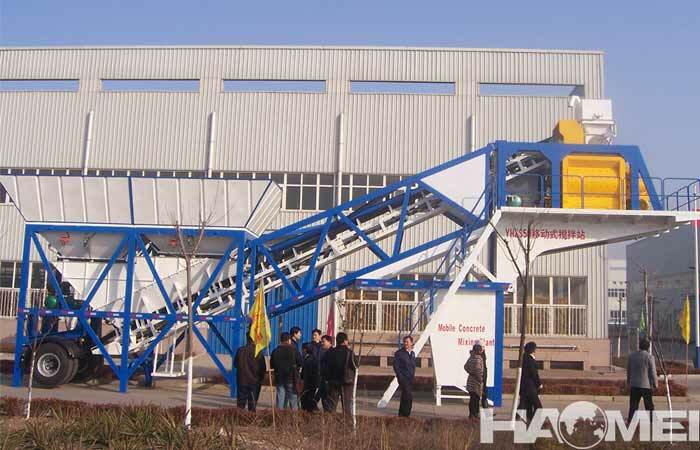 The modular concrete plant equipment model has HZS25/HZS35/ HZS50/HZS60/HZS75/HZS90 concrete batching plant. 4. Aggregate feeding adopts large inclination or small inclination belt conveyor, which has long service life and high work efficiency. 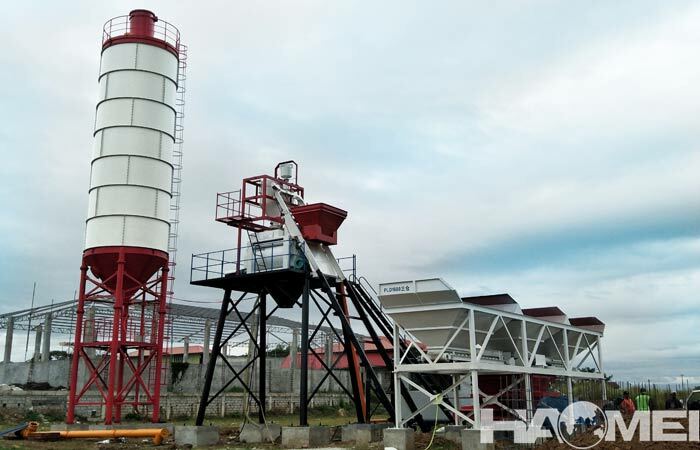 HZS75 concrete batching plant can be composed of JS1500 concrete mixer + concrete batching machine to form a simple concrete mixing plant, or a standard fully automatic HZS75 concrete plant. 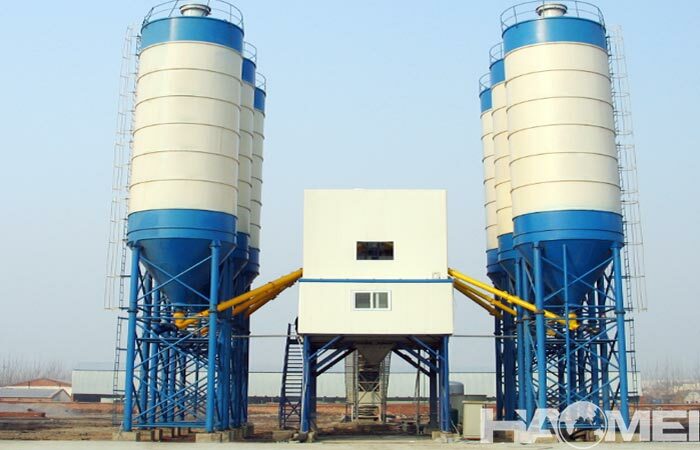 It is ideal for engineering stations and small business ready mix concrete plant. 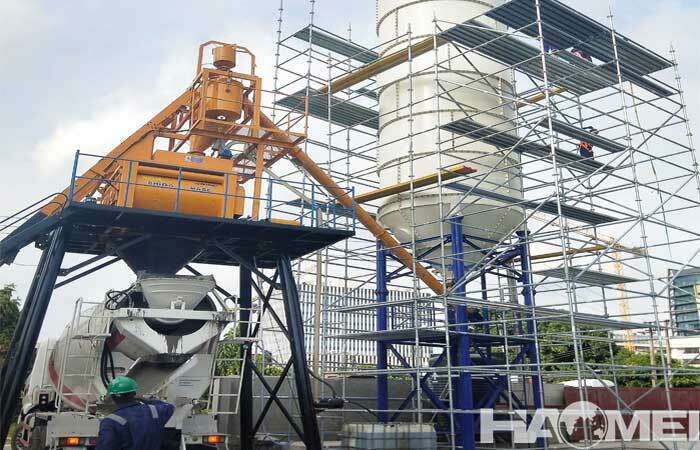 HZS60 concrete plant adopts forced double-shaft mixer to produce plastic, dry and hard concrete, and the quality is reliable. The aggregate is measured separately. The cement, water and additives are weighed by weighing scale, accurate measurement, centralized computer control, simple operation, easy to adjust and reliable. 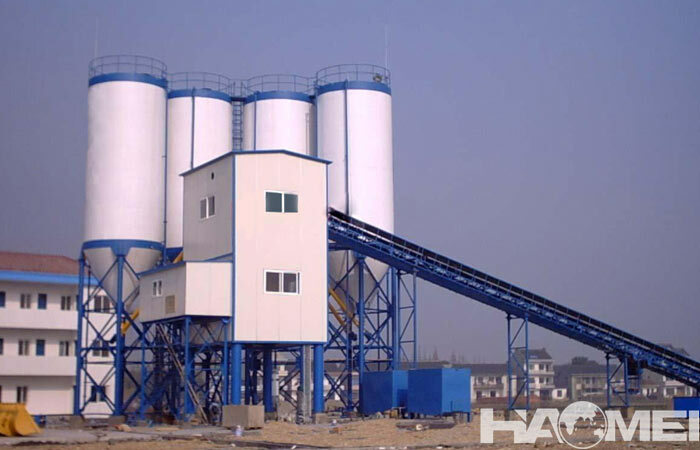 HZS50 modular concrete plant for sale is a semi-automatic concrete mixing equipment consisting of feeding, batching, mixing, electrical control and steel structural components. Suitable for small-scale construction sites, prefabricated parts plants and commercial concrete mixing plants.